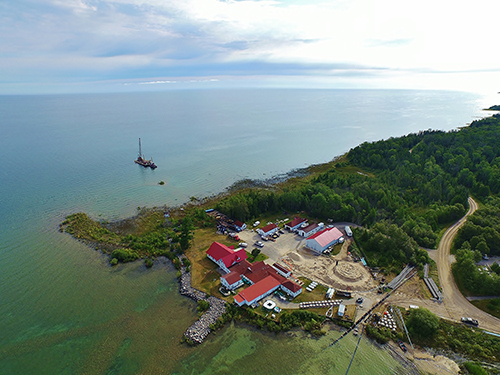 To meet this need, a state-of-the-art invasive species laboratory is being built on the shores of Lake Huron at the USGS HBBS. The biological station is one of seven field stations of the USGS Great Lakes Science Center, and is operated via a decades-long partnership with the Great Lakes Fishery Commission. Description: Watch as the USGS Hammond Bay Biological Station water tank and pump house are constructed from the ground up! This short video features time lapse photography of the 1-million gallon water tank and pump house constructed to supply water to a state-of-the-art aquatic science laboratory. To operate an aquatic science lab, you need water—A LOT of water—because water is the lifeline of all aquatic organisms. The new laboratory facility at HBBS will house dozens of tanks capable of holding thousands of aquatic organisms. The new facility will also offer two large raceways—forty-feet long, ten-feet wide, and three-feet deep—where researchers can simulate realistic stream conditions, ranging from a babbling brook to a raging river. How will this water be supplied? 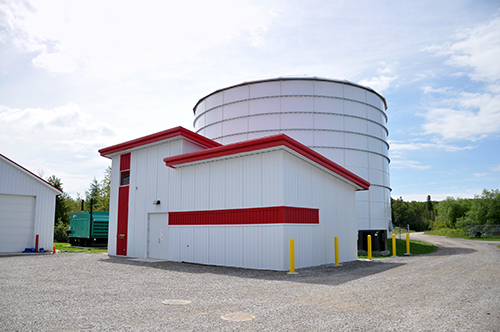 Much like towers are used to supply municipal water, water to the new laboratory will be supplied by a water tank—a really big water tank—holding one-million gallons of Lake Huron water. Part 1 of the time lapse video series shows the construction of the one-million gallon water tank as it rises from the ground. The build starts with assembly of the top of the tank, which is pushed higher and higher as successive layers of the tank wall are installed beneath. Concurrent with construction of the water tank, a new water intake pipeline is put in place to draw water from 45-feet deep in Lake Huron, serving as a second intake line along with a pre-existing pipeline which draws water from 75-feet deep. The video concludes with the building of a state-of-the-art pump house which will be used to electronically control water flow from the lake to the tank, and from the tank to the new laboratory. The water tank will be filled using three 20-horsepower pumps, each capable of pumping water at a rate of 750-gallons per minute, roughly equivalent to the rate that water is sprayed from a deluge gun (water canon) on top of a firetruck. The next phase of construction will be the removal of old storage buildings to make way for the new laboratory. Be sure to check the GLSC website regularly for updated videos as each construction milestone is achieved! 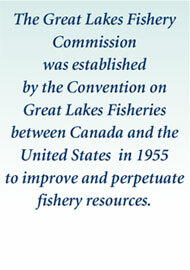 To learn more about the research that will be completed in the new laboratory, visit the Hammond Bay Biological Station and Great Lakes Fishery Commission websites.